Maurice Kamto opposed the country's regime, which has been in power since 1982. Cameroon's arrested opposition leader Maurice Kamto and 29 of his imprisoned supporters started a hunger strike a day after being told they will face eight charges amounting to treason. If found guilty, they could face the death penalty. Christopher Ndong, secretary-general of the Cameroon Renaissance Movement, said Friday that the strikers aim to show that President Paul Biya's re-election to a seventh term in October was a stolen victory. 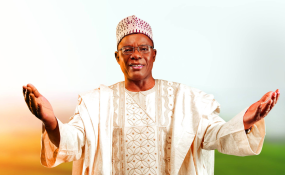 Kamto wants that this government should give way because they are not legitimate after the 7th of October 2018 polls," Ndong said. "He won the election and he wants that they should honestly hand down power without shame, because he is saying if they think that what he declared as a winner is false, let us go back and do a recount." The opposition's calls for a recount of the October vote are likely to fall on deaf ears. Biya is Africa's second-longest ruling leader in power for 36 years and his government has shown little tolerance for opposition. "Article 102 of the penal code sanctions hostility against the fatherland. Any citizen, any citizen taking part in hostility against the republic shall be guilty with treason and punished with death," Fombad said. Opposition supporters also stormed Cameroon's embassies in Paris and Berlin on Saturday.